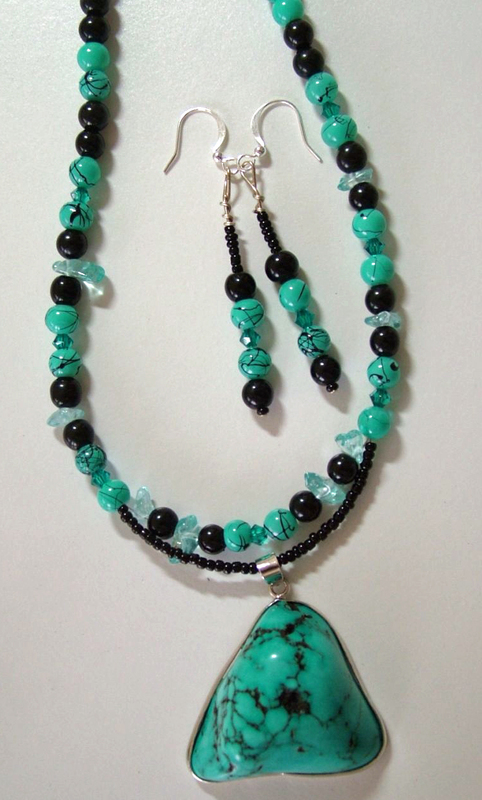 This superb piece of turquoise rock is set beautifully in silver and showcased with black and turquoise beads plus turquoise chips. A ‘wow’ piece for those who dare! !